The Government has sought new loans from China to carry out various projects and proposes to set up a joint venture with that country to develop the Mattala International Airport, a minister said yesterday. 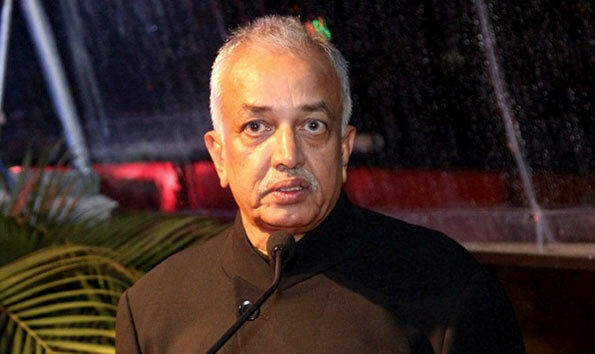 International Trade and Strategic Development Minister Malik Samarawickrama who visited China recently said he had met key officials of the China Development Bank and the Export and Import Bank of China in Beijing. He said the talks were fruitful and cordial that the Government had sought financial co-operation to implement several the projects in the pipeline. “They are prepared to support us,” the minister said. However, the minister said nothing had been finalized yet and they had a priority list in this regard. The minister said a company called ‘China Merchants’ hoped to invest in the proposed Hambantota Economic Zone and that joint ventures had been proposed between the two sides to develop the Hambantota Port and the Mattala Airport. He said the Chinese side was expected to submit their proposals for development of the airport with Chinese investors haivng a say in its operation. Commenting on the Port City Project, the minister said it had been agreed to proceed with the original agreement to reclaim 233 hectares of land from the sea amid the Environmental Impact Assessment (EIA) report suggesting that as much as 269 hectares could be reclaimed. “The original agreement was to reclaim 233 hectares. The EIA says we have got approval up 269 hectares. We will proceed on the basis of 233 hectares. Then, we will look into the design and feasibility for changes to be done,” he said. Chinese were ‘very very bad’ before. Port City venture was criticized and its viability questioned. Subsequently it was given a Green Light. Now we seek Chinese loans. Hope china will oblige. Double speak but then we have so many miniters so as to contradict one another. The sensible thing to do is for Ranil to discuss the issues with the Chinese ambassador in Sri Lanka and if he thinks that his going to China serves any purpose to proceed. Then he ought to find ways and means of revamping the foreign policy in relation to Chinese projects in Sri Lanka. Mangala the minister is clueless about the dynamics of foreign policy andmore important sri lankan role. This wheeler-dealer with his terrible looks. The world is now a different place. There is no “cold war” and no “blocs”. In fact, Nations are now truly non-aligned due to the vision of our Prime Minister, Sirimavo Bandaranaike who professed the non-alignment philosophy. The west has no money to lend. The east has money to lend but they come at a terrible price. The Chinese Govt does not have a lending mechanism. They rely on Govt owned institutions who are blood sucking the pulp out out of poor nations. They demand (and achieve) interest rates far above global norms for the value of money. This is a definite reason for SL’s current financial crisis. If this wheeler-dealer can achieve credit from the Chinese at competitive rates, well and good. The previous rulers hardly had any economic sense; they borrowed to finance white elephants which are failing to return economic benefit to re-pay the massive loans. Of course, the common voter base cannot comprehend theses issues. It should be explained to them that despite being a major port and harbour, the infrastructure in Hambantota is yet to yield any economic befit.